You cannot manage what you cannot measure—so if you want to manage something you need to be able to measure it. The average distributor, then, can improve productivity by 7% just by implementing a system that measures labor and publishes a daily report on operator’s performance. It’s all about the psychology of it. When people know they are being measured, their attitude completely changes. They become more proactive. When they don’t have work, they ask their supervisors for something to do. They focus on their performance. They want to demonstrate that they are good people who are doing their best work. That’s just human nature. However, today’s labor management systems (LMS) that implemented in conjunction with the warehouse management system (WMS). What does this mean in practical terms? Typically, the WMS is a top priority in the distribution center (DC). In a practical way, the WMS is the brains of the DC and, by creating smooth and optimized process, the DC manager can maximize throughput and get the DC running at full speed. The next big optimizable expense is usually labor. That puts an LMS next on the priority list. By adopting an accurate labor management system, organizations can accurately measure and incentivise workers. In the DC, accuracy can be tricky because it is a highly open environment (unlike a machine shop or assembly line). In a more closed environment, the operator performs a limited number of activities or actions which allows them to be highly controlled and clearly benchmarked. Distribution centers are more complicated making the process harder. Industrial engineers struggle with two variables in particular: time spent on travel and time spent on actual picking. Operators often argue that they picked less because they had to move farther to get the required products. To be useful, an LMS needs to measure all of these variables accurately. The WMS has, until recently, been the only system that has visibility into all these activities. So it is very easy for the operator to push back and say, hey I spent more time travelling, that is why I did not pick like the other guy who picked more than me did. So it is important to ensure your Labor Management System is measuring all these variables accurately. So up until now the WMS is the only system that has visibility to all these activities, hence can track all these activities accurately. It is WMS agnostic, allowing freedom of WMS choice. Plug and play capabilities eradicate the need for integration. Simple and easy to use interface even when using a legacy system. An ability to track multiple variables using sophisticated sensors and mobile devices. Lower cost of ownership across the supply chain network. An agnostic LMS can connect to any WMS. In any supply chain network, products move through a set of distribution centers, from manufacturing to end customer sale. Across these many points, each distribution center is different, making it impossible for IT workers to require that all remain on the same version of the same WMS, let alone keep them functioning optimally and in compliance with IT, security and other requirements. Upgrading the system or, harder still, replacing an obsolete or end-of-life system, creates another set of headaches. An IoT LMS can connect to any WMS without these challenges. In a plug and play world, there is no need to develop interface to integrate the system with other systems. Configuration is simplified, allowing for integration in hours and days rather than weeks or months. Longer implementation translates into slowing of adoption and realization of benefits. Plug and play clears that path. Modern mobile technology has gotten very sophisticated. However, enterprises have not fully taken advantage of them yet. This is especially true for enterprises running on legacy systems, such as the AS400. By deploying a mobile layer, organizations can bury the old CUI based system and provide a quality end user experience. It avoids the high cost of a forklift upgrade. Better still, organizations can put the savings to use for other organizational projects. 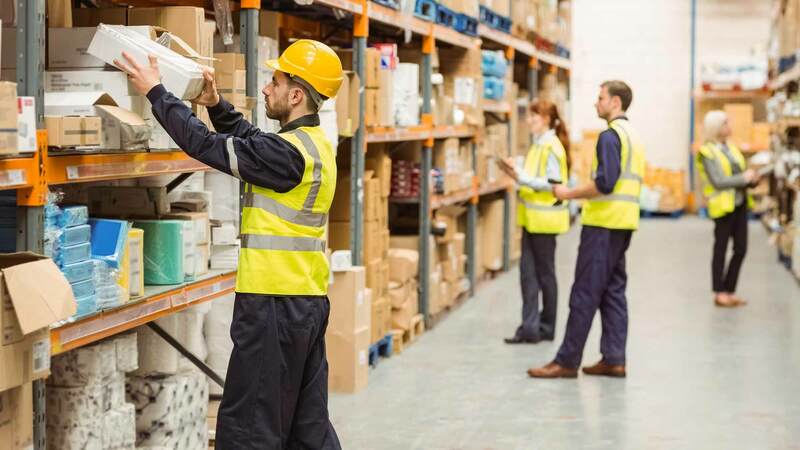 Mobile devices are also full of sensors, and those sensors can save steps for warehouse operators. I know one warehouse manager that calls the operators in his warehouse “Order Fulfillment Athletes.” When using such athletes, it is critical to help them perform optimally. Sensors can monitor and record steps, hand movement, GPS coordinates and more and do it automatically. Better still, it can be done automatically so operators don’t have to manually input in their stats for tracking (saving time and increasing the data accuracy). Across all the benefits above runs the theme of lowering cost. Best of all, in addition to reducing the cost of implementation, organizations can also trim the cost of ownership. In any organization, risk management is key. An IoT-based labor management system, since it doesn’t integrate deeply with complex organization systems, provides results without touching other systems. That reduces risk since fewer things can go wrong. Have you considered adopting an IoT-based LMS? What are the challenges and benefits you see in it? Let us know your thoughts in the comments section below.